How to search for ideas and inspiration without copying someone else’s work, is a topic I have been wanting to write about for quite some time. 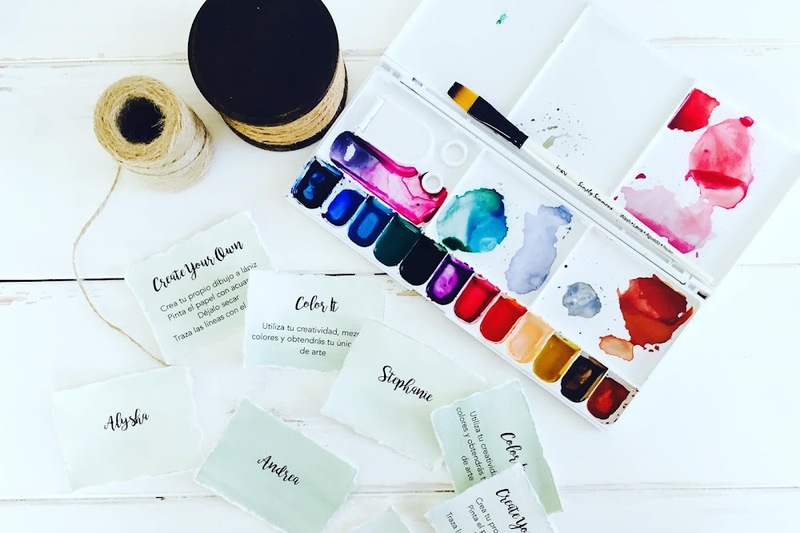 With Instagram being a social media platform where artists show their work and their process almost every day and with Pinterest being a search engine for everything DIY & creative, it seems that the work of artists and designers are just out there ready to be copied at an incredible ease. Because I want to give you all the tools you need to search for great ideas without having to copy someone else’s work, and because I know that us creatives are constantly searching for new ideas, I wanted to share where and how I look for them without falling down the copying hole. Nature is my main source of inspiration, there are infinite possibilities just by looking around you. For example, my house is on a hill overlooking the ocean and surrounded by a lot of green. For me it’s easy to go outside and look at the trees, plants, the beach, the sky, you name it. So when I’m going to paint plants, or a tree I can go outside and see how they move, how different they look from others, and even remember how different they look as the season changes. When I do this exercise and I start to paint those elements, I know they are from my own point of view, and not of another artist. I recommend going outside, it doesn’t matter if you live in the city, in the country, near the beach, just look around you and paint everything that inspires you from where you live. 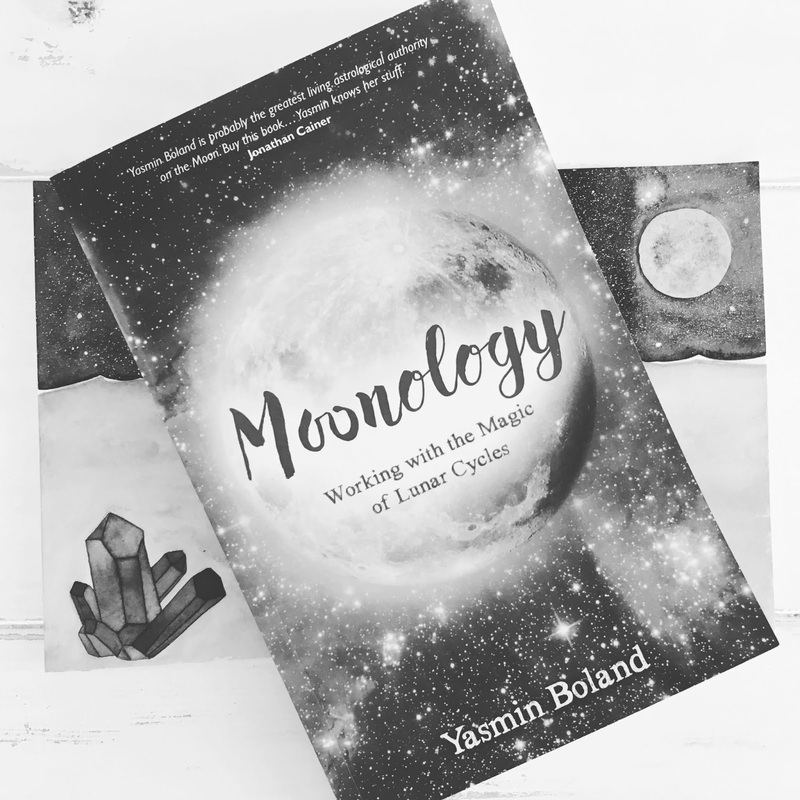 Don’t under estimate the power of a good read, I’m currently reading Moonology by Yasmin Boland, and I’m just fascinated by the power of the moon and how much it influences so many aspects of our life. I always knew that according to the phase of the moon, you could plant certain fruit and veggies, my grandma has been doing that since she was a little girl, but to know that it can also influence some aspects that I thought I had no control over, it made me see the moon in a different way. Because of that powerful read, I have been incorporating the moon more in my paintings. If you love books like I do, grab your favorite book or start reading one you have sitting in your bookshelf, and see how it inspires you and what you can get out of it. If you are not into reading books or find it to be a bit boring, I suggest you stay away from this particular exercise. 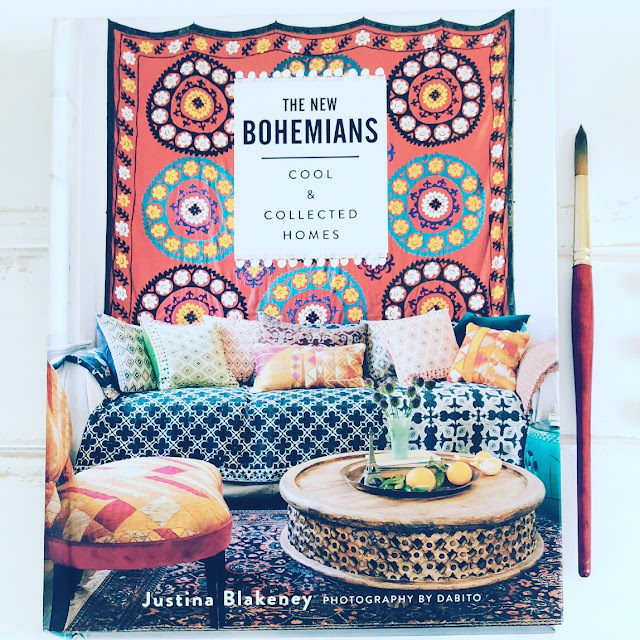 I personally love home décor books, they have pictures of gorgeous pillows, furniture, throws, blankets, curtains, and all those things are full with patterns, shapes, flourishes, curves and other elements that can serve as inspiration for a color palette or as part of a composition that you are working with. A book that it gets me inspired all the time is “The New Bohemians” By Justina Blakeney, if you are into bohemian décor, this book is a must have in your bookshelf. Magazines are a hybrid between a good read and a picture book, depending on what type of magazine you’re into, you can find travel, lifestyle, food and even pattern inspiration. 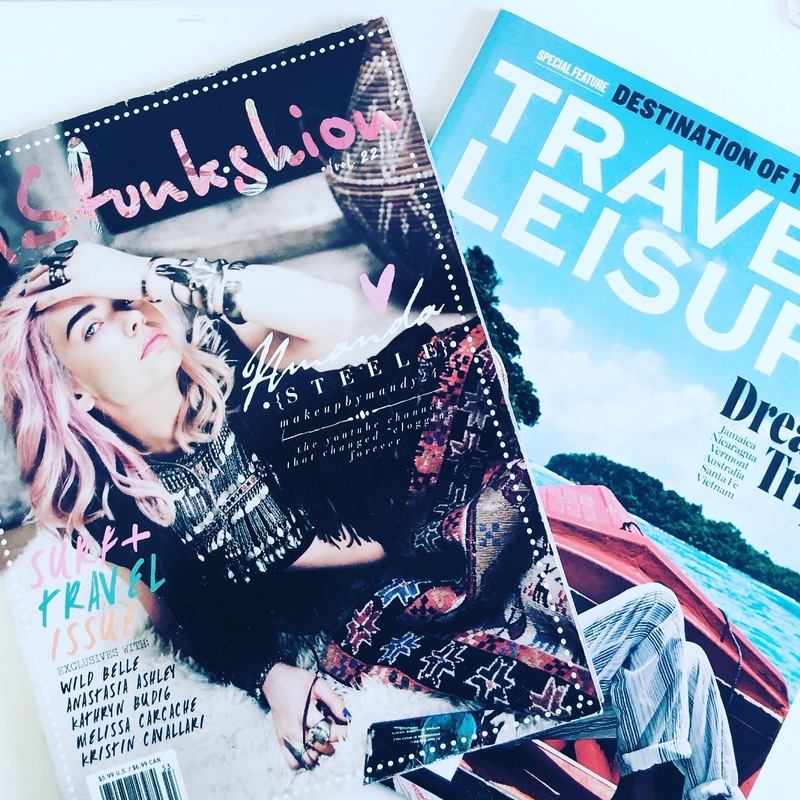 I personally love Disfunkshion Magazine and Travel + Leisure. In Disfunkshion Magazine I find tons of bohemian elements, patterns, beach, crystals and even food ideas for me to paint. In the Travel + Leisure Magazine I usually find culture, architecture, beaches, signs and map ideas. So grab your favorite magazine and start exploring a new world of ideas by flipping the pages of it. If you are into painting crystals, the best way to get ideas to paint them are from the crystals itself. I have a collection of them at home, I get inspired by their unique colors, their geometric shape and the way they are naturally cut. If you don’t have crystals in your home, you can look pictures of them and start painting them with your own point of view. I follow a couple of lifestyle and travel accounts on Instagram, they are super inspiring. From a sunset at the Maldives, a gorgeous beach view from Byron Bay Australia, a unique coffee shop in Hawaii, the inspiration is everywhere. Pinterest is a great search engine for everything creative, but in order to actually find ideas and not something that you can copy from another artist you need to know how to make your search. For example, if you want to paint a galaxy, don’t write on the search box “watercolor galaxy painting”, instead write “galaxy”, “nebula”, “NASA images”, “NASA galaxy”. That way you are searching for an actual galaxy and not someone else’s interpretation or point of view of a galaxy, don’t get me wrong, looking for an actual watercolor galaxy painting can serve as inspiration if you already have your own voice and unique style, but if you’re starting to discover what makes your work unique, I suggest that you do this exercise first. Remember, not copying doesn’t mean that if other artist painted some crystal clusters, you are not going to paint them because someone else already did it, it means that you are going to paint your crystal cluster from your own point of view, with your own unique style that will differentiate you from other artists. I hope this list will help you in your search for ideas, and trough them you can get inspired to keep creating.